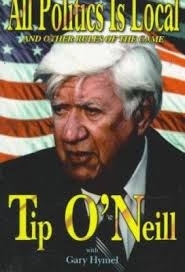 Tip O'Neill was American institution, known & loved across country. In All Politics is Local he shares his secrets. Continuing in tradition of best selling Man of House, O'Neill's inimitable stories & irresistible style show how politics really works. Each of his rules comes to life w/unforgettable story about presidents, congressmen or constituents.